There're two type flip-flop effect in hologram sticker. One is mae by 2D/3D effect, we can make several different image/logo in different viewing angle and depth, then these elements will have flip-flop effect because eye just see each hologram image in certain viewing angles. But when too much designs is put together in 2D/3D master shooting, the hologram images will have lots overlay and the flip-flop effect get worse. So after Dot-matrix hologram system which is controlled by computer is created to make hologram grating dots in any angles possible, we can improve the flip-flop effect with much more flips and less overlap. For sample, we can make different images in viewing angle, -30, -20,-10, 0, 10, 20, 30 degree. So we get 7 flips in hologram without overlap. 2D/3D Flip-flop hologram has good flip-flop effect with two or three flips. These hologram images or texts are shown with different viewing angle in different position. One hologram image will mask and another hologram image will display when you change the view angle a little bit. 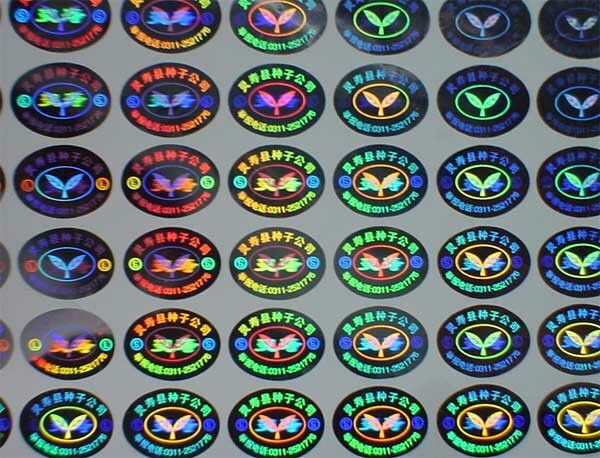 Holographic sticker which has flip-flop effect. The key and lock image has flip flop effect. 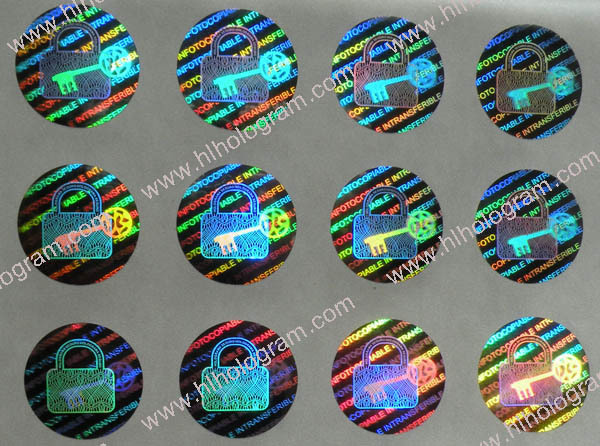 Tamper evident holographic sticker which has flip-flop effect with key and lock image. 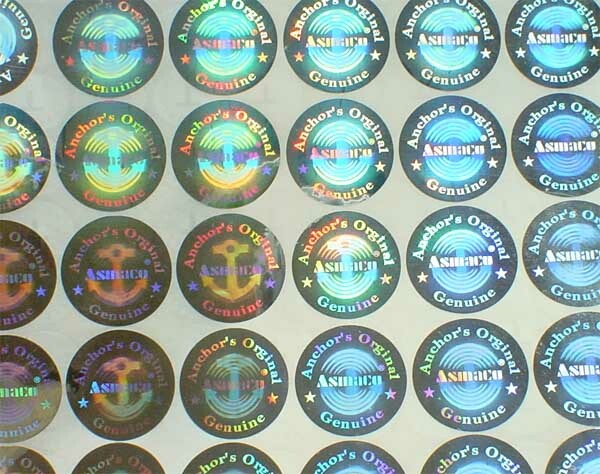 Holographic sticker which has flip-flop effect. Two image evolve through different viewing angle in the hologram. Holographic sticker which has flip-flop effect.The letter 'L' and ''S is flip-flop.When the viewing angle changes vertically (upside and down), two letters evolve through the hologram. Flip-flop holographic sticker can display two images from different viewing angle. When the viewing angle changes vertically (upside and down), L and S evolve through the hologram. Holographic sticker which has flip-flop effect. The ankor image and logo has flip-flop effect. 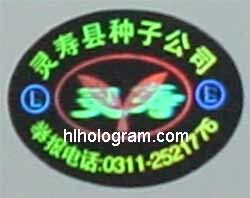 Flip-flop holographic sticker can display two images from different viewing angle. When the viewing angle changes horizontally (left to right) or vertically (upside and down), different images evolve through the hologram.